When my son Javon said that to me a light bulb went off in my head — I realized ‘home’ was what I had missed back in 1985 when as a six-year-old I traveled with my family to Memphis for treatment for leukemia. 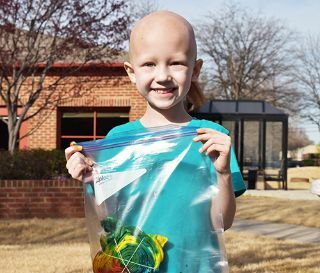 Without a Ronald McDonald House®, there was a welcome home for a scared little girl with cancer. My family and I stayed at a hotel. The lights were dim; the rooms were bare; there were no activities; no other children to play with; no comfort of other families; and only a hotel bill for my mother to pay. I already felt different from other kids who didn’t understand my bald head, but actually being isolated from the ones who did, made it even worse. It’s one thing to be sick. It’s another thing to be sick and to feel alone. 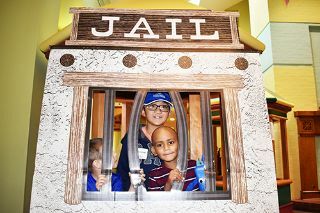 Almost 20 years later when Javon was diagnosed with leukemia at just two years old, I learned about a special place that could make the hospital stays, long treatments and stressful news a lot more bearable. 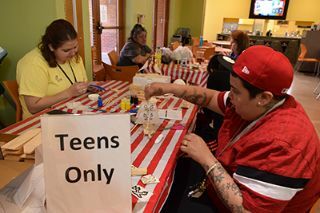 I learned about the Ronald McDonald House of Memphis® is a home where St. Jude’s patients and their families could stay free of charge while their child underwent life-saving treatments. Javon and I stayed at the House four months while he healed. The Ronald McDonald House® was a place where shaved heads, wheelchairs, and medical masks were the norm. It was a place where my child forgot about his differences, found solace from the pain with others who were going through the same and could just simply play. Unfortunately, our battle against leukemia didn’t end there. A few years later my daughter, Jakayla, was also diagnosed with the disease. We once again packed our bags and headed to Memphis. This time, Javon walked through the doors of the Ronald McDonald House® hand in hand with his baby sister. He had this firm grip, like he was trying with all his might to give his strength. 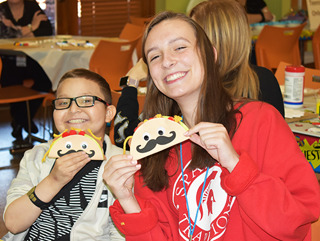 I heard him say to Jakayla, “With Mom and me by your side, you’ll beat it too.” Although Jakayla finished her treatments in 2010, she relapsed in early 2012 and we came back to the Ronald McDonald House® as Jakayla continued to fight. I’m not going to lie, four battles with leukemia has been hard, but we’ve seen so many miracles happen at this House through the years, that it gives us the faith we need to get through. Javon and Jakayla have my will to fight, but they have something else — the Ronald McDonald House® — a place where we can be together.